Built in 1989, Independence Square Freehold is a community of townhouses in Freehold Township. It’s located off of Route 33, bordering the southern end of Freehold Boro. Independence Square Freehold consists of 312 townhouses. One style of a 2 bedroom unit and seven styles of 3 bedroom units were built. Between 1346 square feet and 1689 square feet of living space are in these homes. The homes in Independence Square were built around 1989. Sadly, there are no garages in this community. As with most condo communities, the association owns the exterior of the building, and is responsible for the exterior maintenance. Independence Square’s homeowners association is responsible for common area maintenance and exterior maintenance. Also, lawn care, snow removal and garbage removal. Residents also have use of the tennis courts and pool. And, your pets are welcome in Independence Square. Because FHA financing is not approved in Independence Square, purchasing a home with an FHA loan is not possible.. However, other programs exist that will allow you to purchase with a low down payment. If you call us at 732-598-7700 we can discuss this further. CR Applegate Elementary School and Eisenhower Middle School educate children in grades kindergarten through eighth grade. When students enter high school they will attend the Freehold Regional High School District. Furthermore, each of the six schools offers different specialized courses. Talented and motivated students may apply to attend any of these schools. However, there is a competitive application process. 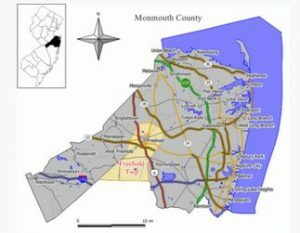 Optionally, when students enter high school they may also apply to the Monmouth County Vocational School District. Specialized courses are available in fields such as computer science, and biotechnology. Also courses are in the automotive and building trades, among others.